I have books and folders and boxes full of recipes that I must make. I am constantly ripping pages out of magazines, scribbling food ideas in my notebooks, knocking up a list of ingredients on my phone. I love pulling them out and perusing my options in my search for inspiration. 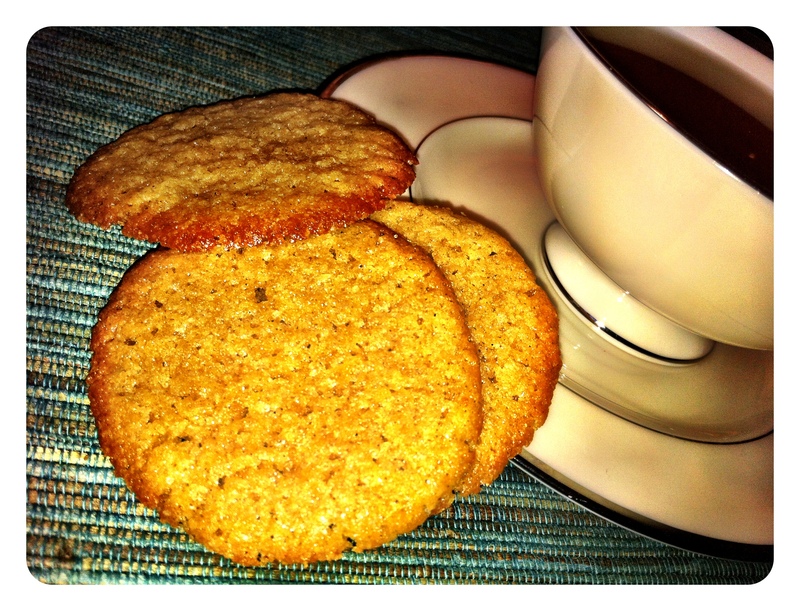 This cookie recipe has been lurking towards the top of one pile for about 6 months, but I have finally gotten to it. And it is a good one! The source of this recipe is a blog called The Runaway Spoon (http://therunawayspoon.com/blog/2010/10/clove-cookies/), which is a blog full of delicious food. You need to like cloves to enjoy this recipe, but if you do, you will find them delicious and wonderfully simple to make. Stire the melted butter into the sugar in a large bowl until well blended. Beat in egg and vanilla until smooth. Sift flour and cloves into the butter mixture and mix until well blended. Chill the dough in the refridgerator for at least 15 minutes to firm. Pre-heat oven to 180C. Line two baking trays with baking paper. Drop small teaspoon of dough onto the trays and space them about an inch apart. Press down lightly. Bake for 7-9 minutes, until the cookies have spread and the edges start to brown. Leave to cool for one minute and then carefully transfer to a wire rack to cool. Can be stored in an airtight container for up to a week. Makes approximately 2 dozen. The morning after a kid’s birthday party can be rough. Especially a party with 11 girls, and especially when 3 extras are still with you in the morning. After a very late night of movies and giggling, the little bunnies were up and about by 6am. The little darlings. So I hauled my sorry backside out of bed and after being roped into phase 2 of the endless craft project – creating a puppet show, and the theatre to show it in – it was time to think about breakfast. Surprisingly tough call coming up with a food option to please them all. After considerable negotiation we settled on muffins. But what kind? Chocolate? No (wow!). Blueberry? Ick, says another. Orange poppyseed? Ewww, she says next. Aha! Raspberry and white chocolate? Yes, yes, yes… and a NO. Man alive! Finally we settled on Apple Crumble muffins to please one, and raspberry white chocolate because that was still such a good idea. 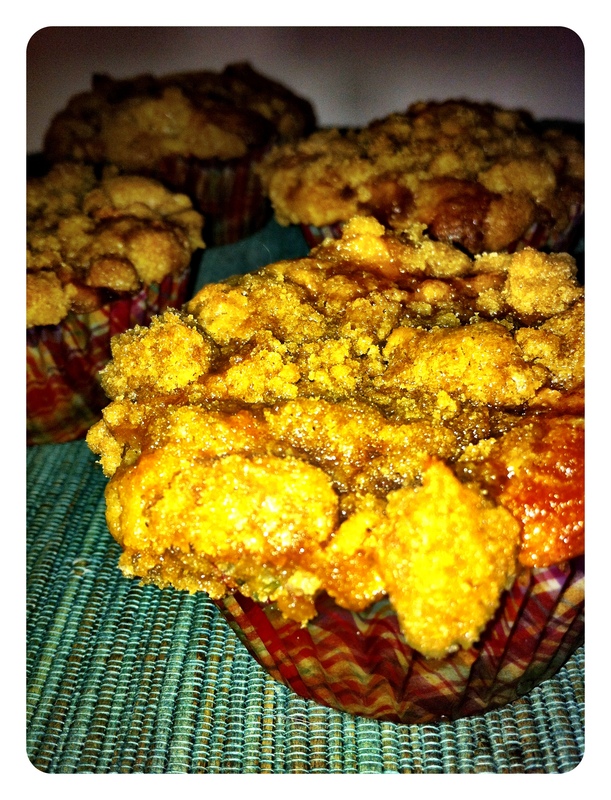 These are the best apple muffins I have ever had. 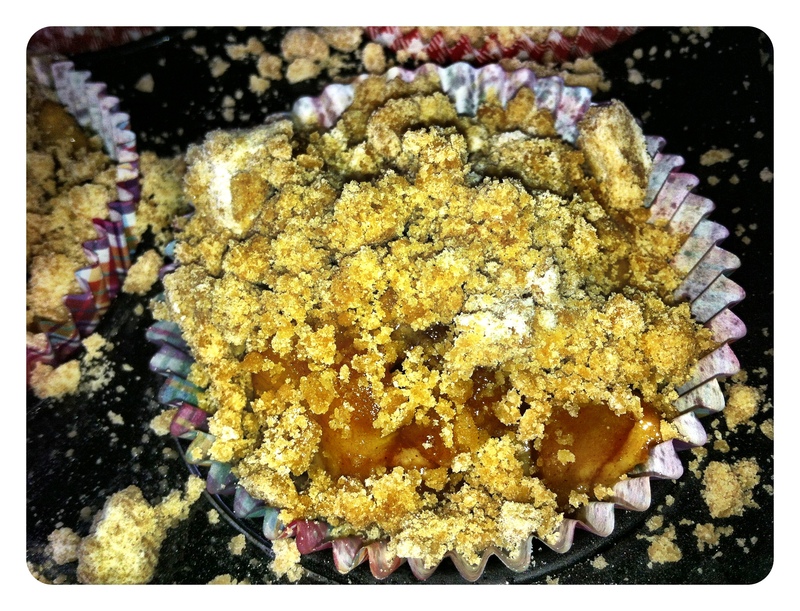 Big juicy mouthfuls of apple, sweet cinnamony crunch top. Yum. Line a 12 hole large capacity muffin pan with muffin cases. Make topping first. Combine all ingredients and mix using a fork or pastry cutter until mixture well combined and starting to clump together. Place in freezer until ready to use. Peel and core apples, and cut into small pieces. Melt 1 T butter in pan and add the apple. 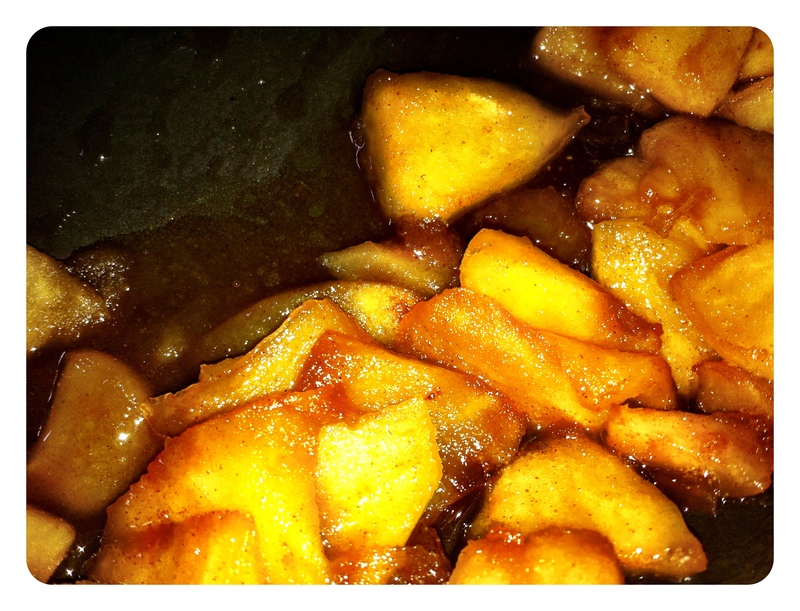 Once the apple is well coated, add the brown sugar and cook until apples have browned and mixture has thickened. Sift all dry ingredients into a large bowl. In a smaller bowl, whisk milk, egg and melted butter together. Add to dry ingredients and mix with metal spoon until just combined. Do not overmix! Add half of the apple mixture and fold in very gently. Divide batter into the muffin pans. Divide the remaining apples onto the muffin batter. 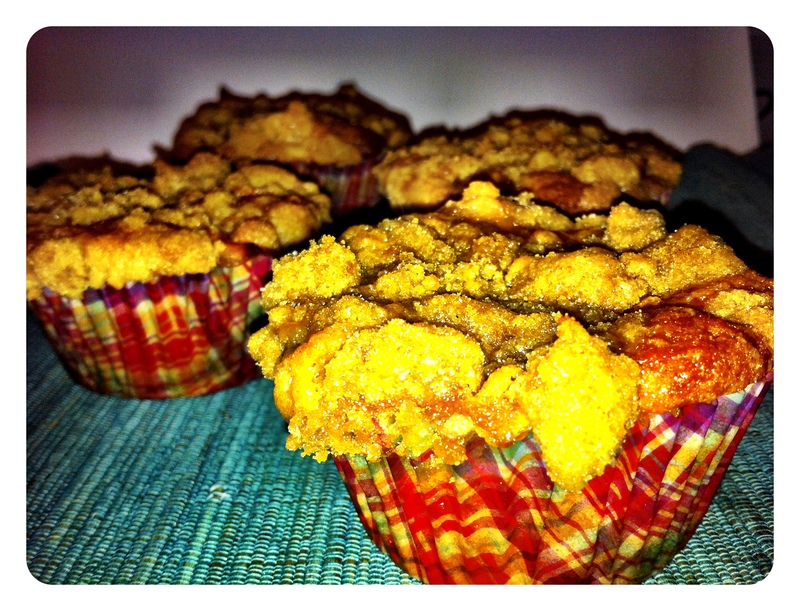 Remove topping from freezer and crumble over the top of the muffins. Bake for 25-30 minutes or until skewer inserted into the middle comes out clean. Leave in pan for at least 5 minutes to cool before taking muffins out.